Few writers have inspired more readers than author C. S. Lewis -- both through the enchanting volumes of his children's series and through his captivating adult classics such as Mere Christianity, The Screwtape Letters, The Great Divorce, and numerous others. 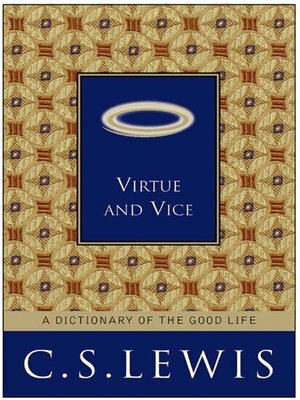 Drawn from many works, this volume collects dictionary-like entries of Lewis's keenest observations and best advice on how to live a truly good life. From ambition to charity, despair to duty, hope to humility, Lewis delivers clear, illuminating definitions to live by.